Paw Patrol Skye’s Mission Helicopter Just $10.92! You are here: Home / Great Deals / Amazon Deals / Paw Patrol Skye’s Mission Helicopter Just $10.92! Head over to Amazon where you can score the Paw Patrol Skye’s Mission Helicopter for just $10.92 PLUS FREE shipping with Amazon Prime or for orders over $25! No job is too big and no pup is too small! 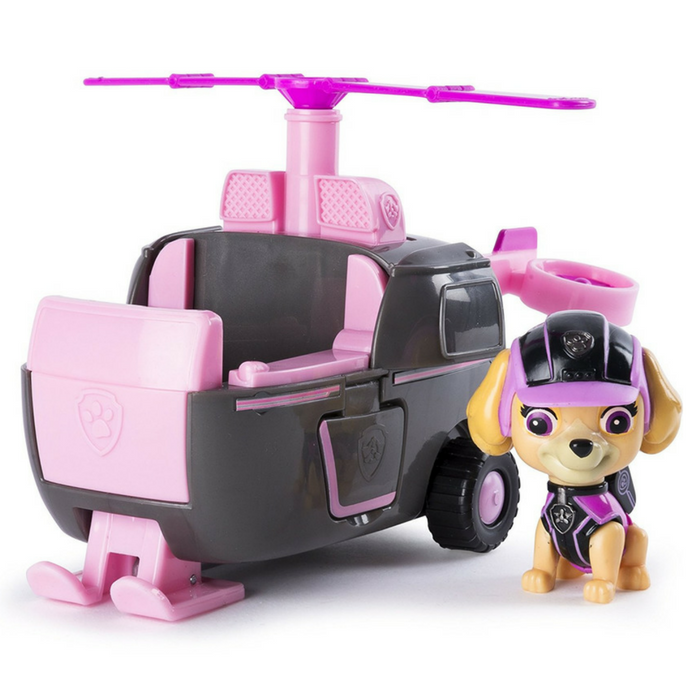 Now you can re-enact real Mission Paw rescues with Skye and her new Mission Helicopter! All of your favorite Paw Patrol characters are ready to save the day. Race to the ruff-ruff rescue with Skye and her vehicle! Together, your child’s imagination will be lit up with pup inspired rescue missions full of friendship, teamwork and bravery. With Skye’s Mission Helicopter you can save the day! It’s a great gift idea for the holiday season!